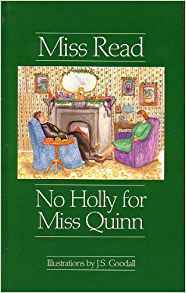 No Holly for Miss Quinn, is the 12th book in the Fairacre series by Miss Read. 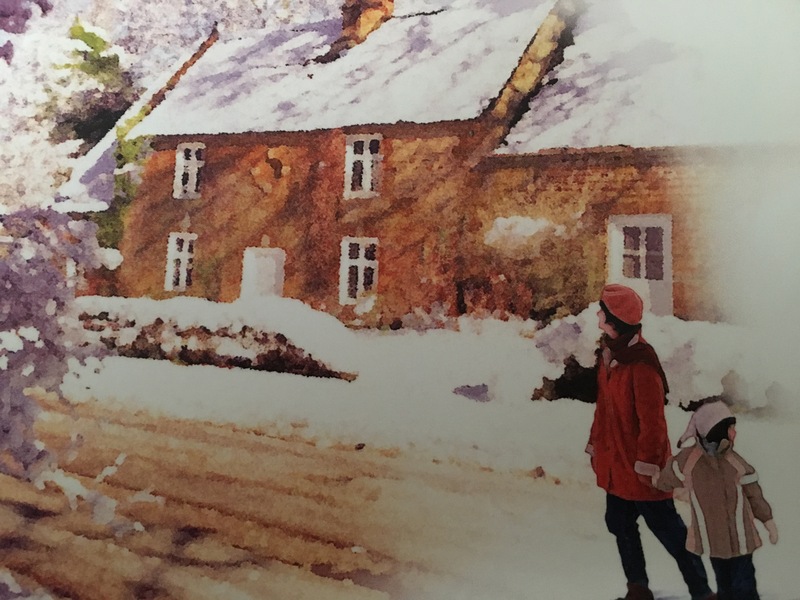 There are a number of books in the series that celebrate Christmastime in the wonderfully imagined village of Fairacre. They have all become favorite holiday reads for me. Nobody in Fairacre knows much about Miss Quinn, which is a rare state of affairs and much regretted by the villagers. Apart from the fact that she lives in the annex to Mrs. Benson’s house and that she works in Caxley, her past history and the amount of her salary remains a tantalizing mystery. In fact, Miss Quinn is a highly efficient secretary to a Caxley businessman. She runs him, and her own affairs, with terrifying competence. She is completely unsentimental and plans to spend her Christmas exactly as she wants, without fuss or family. But before the great day, her brother rings to say his wife has been rushed to the hospital, and could she come and cope with the children? Secretly dismayed, Miss Quinn sets out to do her duty. Miss Quinn’s Christmas becomes so much more than “doing her duty.” It’s really a lovely story about family, growth and change. I love Miss Quinn’s independence and strength, and her love of solitude. But I also loved that she experienced the magic of Christmas with her nieces and nephew, and came to know and appreciate her beloved brother and his wife in a whole new way. A wonderful holiday story that can easily be read each Christmastime. This entry was posted in Favorite authors, Holiday Reading on December 15, 2018 by Robin. As soon as November arrives, I start my holiday reading. I love this time of year filled with lots of family activities and fun. 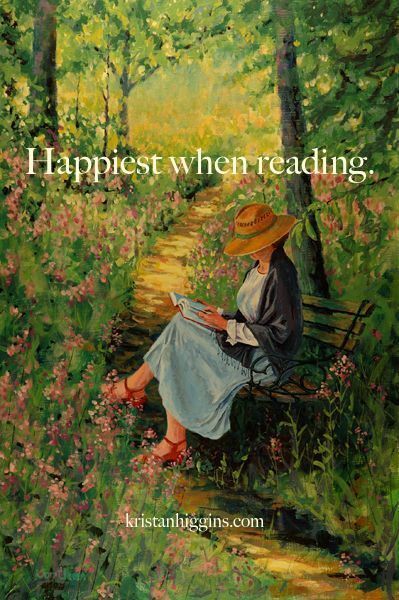 I enjoy hunkering down on cold and icy days with a good book and a cup of tea. And I love reading holiday stories, old and new. I started this holiday season with a short book from Miss Read’s Fairacre series (Fairacre #10). The Christmas Mouse was delightful, as are all the Fairacre books! ‘Twas the night before. . . and all through the house (will there be a dry eye?) in which Mrs. Berry lives with her daughter Mary and Mary’s two little girls (Mary’s husband has just passed on suddenly) there is still a twitch of expectation. But not for the creature who appears in Mrs. Berry’s room — with tiny pink paws, and goodness only knows she hadn’t anticipated the bedraggled little boy who turns up just before the day itself with its happy crinkle of packages. . . . Oh dear how dear, but then Miss Read’s own audience won’t be catnapping. This was a kind and gentle story, a reminder of the things in life that really matter — family, kindness, acceptance, and love. A little book definitely worth reading on a cold November evening! This entry was posted in Favorite authors, Holiday Reading on November 9, 2018 by Robin. October just flew by this year and here it is November already. As the days grow shorter and darker, I spend more time reading and listening to audiobooks while doing winter knitting projects. Right now I am reading a number of different things. My current library book is Wild Seed, by Octavia Butler. This is my first time reading her work and I’ve found that I really like her writing. My current Audible listen is J.K. Rowling’s The Silkworm. My current Kindle book is Rules For a Successful Book Club (The Book Lovers, #2), by Victoria Connelly. And a friend loaned me another Kindle book to add to my annual holiday reading project. It’s called A Cornish Christmas, by Lily Graham. There’s no shortage of books to light up these shorter darkening days! This entry was posted in Audiobooks, Book lists, Holiday Reading, Kindle, On reading on November 1, 2016 by Robin. A few years ago, I started a new reading tradition for myself. 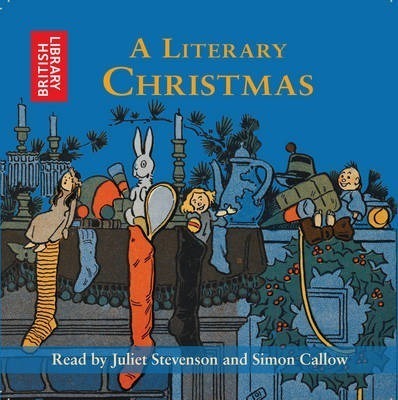 On November 1st, I begin to read books and stories about the holidays. A simple tradition but one that has brought much joy to my reading. This year I started with an old classic published in 1897: Holiday Tales: Christmas in the Adirondacks, by W.H.H. Murray. I’d never heard of it before, but I’m glad I discovered it because it was a lovely beginning for this season’s reading. The book was free for my Kindle, and can also be read online as part of Project Gutenberg eBooks. 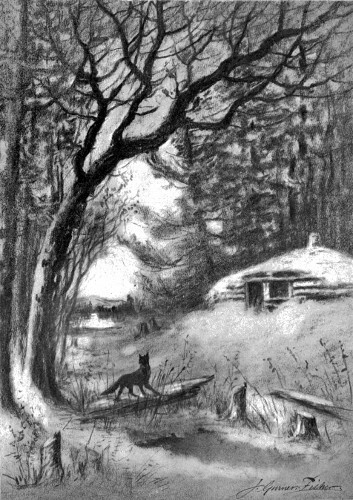 It contains two stories about an old trapper named John Norton who lives in a cabin deep in the Adirondacks. Ah, if some sweet power would only enlarge our hearts when, on festive days, we enlarge our tables, how many of the world’s poor, that now go hungry while we feast, would then be fed! 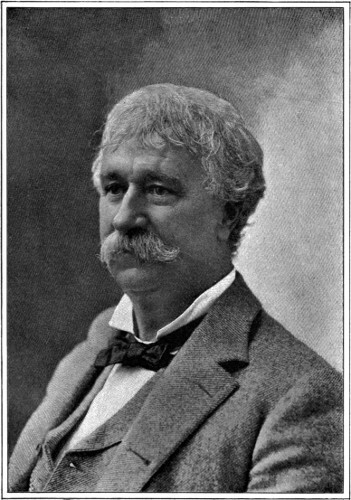 The second tale, John Norton’s Vagabond, is of another Christmas when John Norton decides to invite everyone in the woods, including the “vagabonds,” to his holiday dinner. The Old Trapper believes strongly that Christmas is a time for “forgivin’ and forgittin’,” so he invites even those men that have stolen from his traps. It’s a humorous story, but with the most important, albeit simple, messages. Ah, friends, dear friends, as years go on and heads get gray–how fast the guests do go! Touch hands, touch hands with those that stay. Strong hands to weak, old hands to young, around the Christmas board, touch hands. The false forget, the foe forgive, for every guest will go and every fire burn low and cabin empty stand. 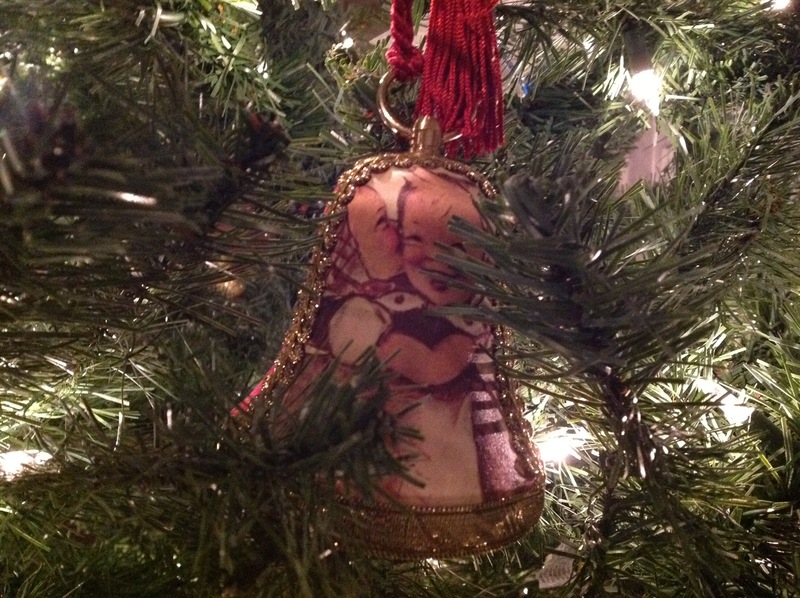 Forget, forgive, for who may say that Christmas day may ever come to host or guest again. Touch hands. With it’s poignant reminders of what the holidays are all about, with stories of kindness and caring, this was a very enjoyable book to start my holiday reading. THE MURRAY HOMESTEAD GUILFORD, CONN. This entry was posted in Classics, Fiction, Holiday Reading on November 8, 2015 by Robin.